February is a chilly month that leaves us feeling frozen to the bones. With the cold winds of the north blowing and the endless dampness that endures even on sunny days, we can find ourselves hiding out in our homes and tucking ourselves away from each other. This time of year can make us start to feel isolated, alone and downright sad! We need a warm, sweet reminder that someone, somewhere loves us. 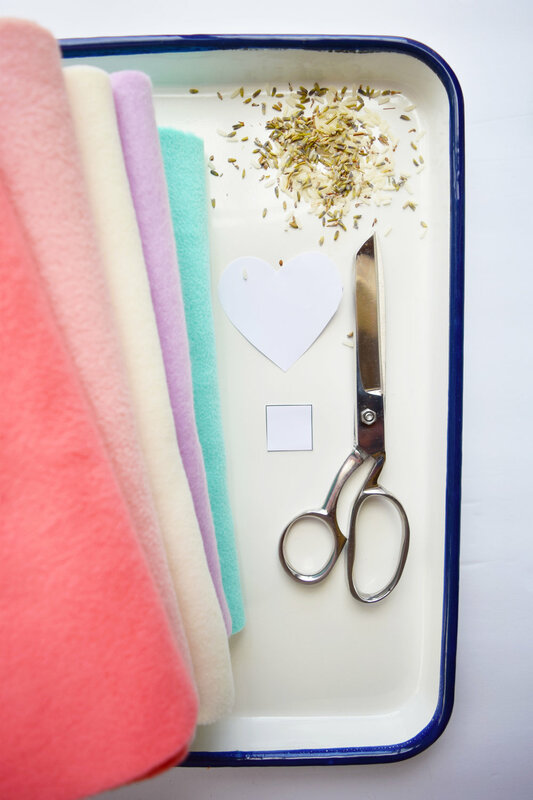 How about a project that is adorably soft and gently stuffed with sweet lavender? That’s why my little helper and I were back at the sewing machine and created a tender project that can warm any frozen heart! Step 1: Download, print and cutout the heart/pocket template and pocket cards. Mix the rice and the lavender in a bowl. Step 2: Pin the heart and pocket template to the fabric. 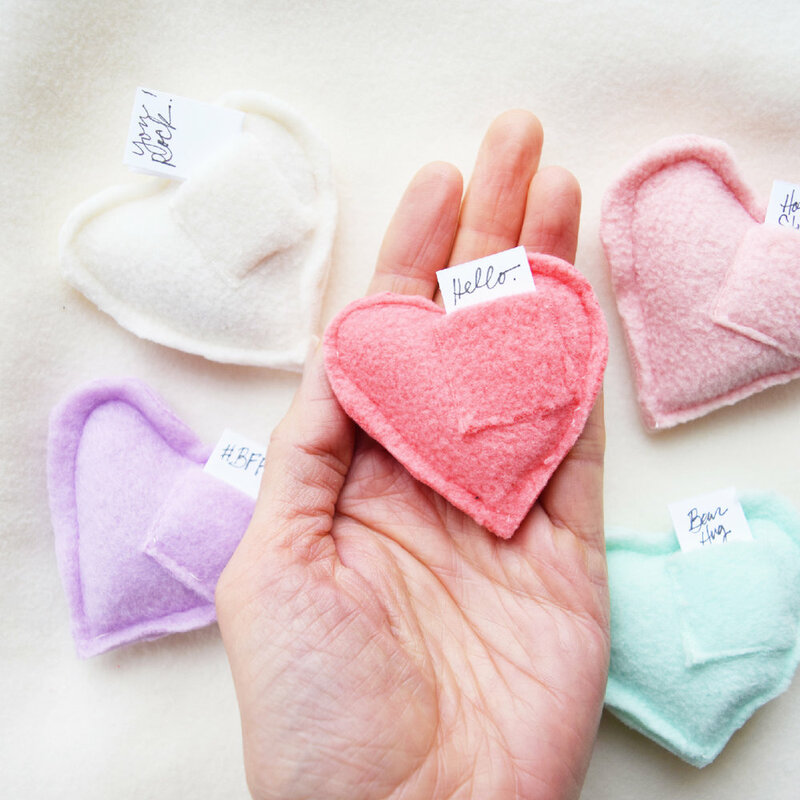 From each color fabric, use the scissors to cut out 2 hearts and one pocket. 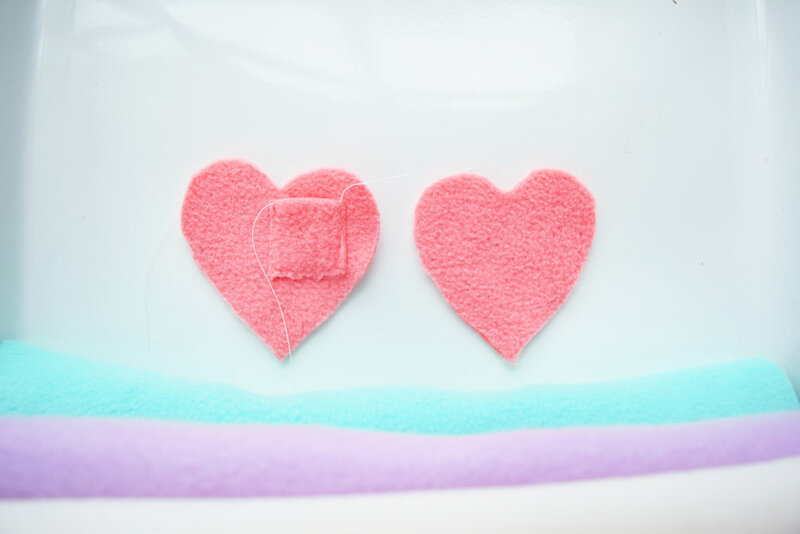 Step 4: Sew the front and the back of the hearts together but leave a 1-inch opening on one side of the hearts. 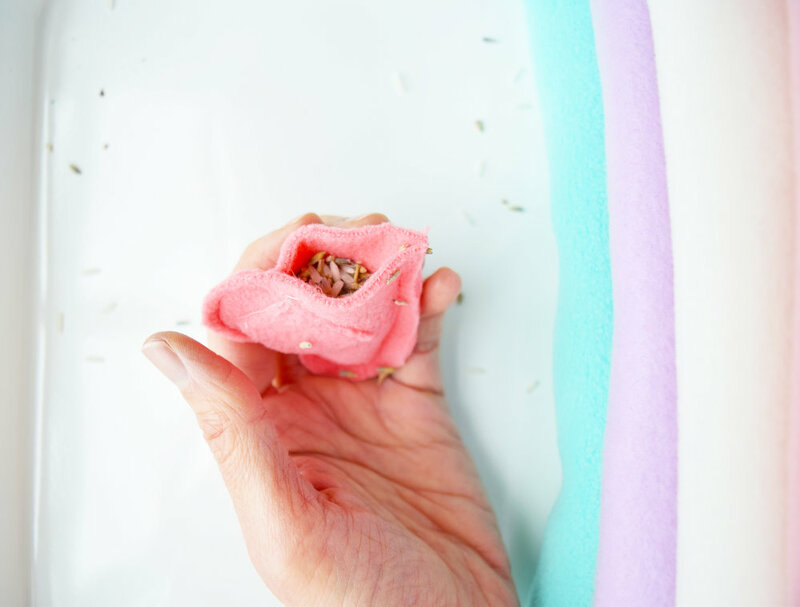 Step 5: Pour approximately 1 tablespoon rice/lavender mixture into each heart and then sew the opening closed with the sewing machine. Step 6: Write a little message on the small pocket card or use the pre-made designs on the template, fold in half and stuff the card into the pocket of the heart. Stuff these little darlings into a backpack, workbag, purse or in a pocket. They are bound to warm your Valentine inside and out. Until tomorrow sweet Valentine friends!